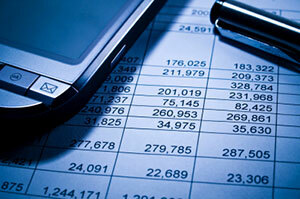 B & B Solutions allows you to take the pain out of statement processing while also reducing cost. Why spend hours, or even days, preparing and printing monthly documents when you can accomplish the same thing in a short time by outsourcing? Whether you have small or large requirements, we can provide a cost effective, robust solution. Processing your statements and invoices is critical to your business, and we recognize the sensitivity related to these processes. Rest assured, your success and satisfaction with our statement rendering solutions are of the utmost importance to us. Ask your sales representative about receiving possible methods for transferring your documents.